Blairgowrie has often had to compete with such towns as Crieff and Pitlochry but to be honest it's probably one of the most honest and realistic towns of the more. Blairgowrie boasts a least five great golf courses within 10 miles and has some of the best fishing in Perthshire. The river Ericht being one of the most popular rivers in the area and offering fantastic salmon fishing. 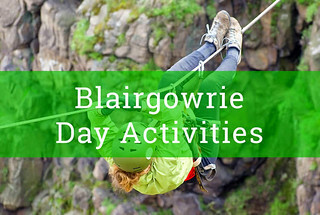 Blairgowrie also has its own paintball site on the outskirts which is great for all sizes of groups and families and with Perth leaving 16 miles away and Dundee about the same making an ideal location to explore the area and try some of the great activities available. 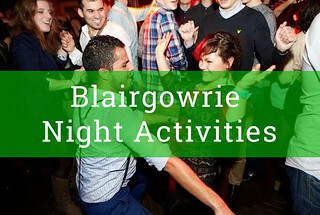 Blairgowrie's accommodation can work out cheaper than many of the other towns in the area and a more varied nightlife with a bigger selection of bars and restaurants. One of the popular bars is the Gigg on the better restaurants is Littles.